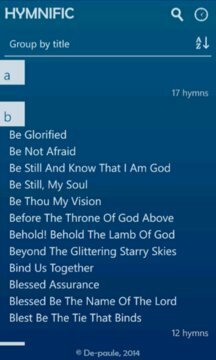 This app has a vast collection of hymns, from most popular to the least often sung. You'll love it, it's a promise. 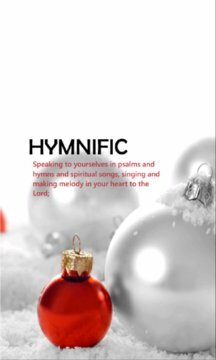 Carefully crafted to give you an excellent experience, Hymnific is embellished with extras to make you love the hymn you're singing even more. You get to choose from a variety of themes as you want them, adjust fonts to suit your needs and keep track of what you've sung recently. As an extra, you can share the hymns you love with your friends, either a single stanza of it, the chorus alone or the entire lot. Take your 'hymning' experience steps higher with HYMNIFIC.